Mr. Rohner is being replaced by 65-year-old Oswald GrÃ¼bel, who had been CEO at Swiss rival Credit Suisse Group until he retired in 2007.
would be CEO for a short period of time. 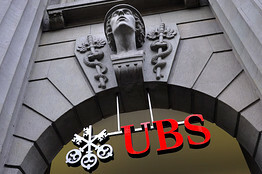 UBS has announced the surprise departure of chief executive Marcel Rohner. 2007. He got his start in banking and securities in the 1960's at Deutsche Bank AG. Mr. Kurer, UBS's former in-house legal counsel, took over as chairman in 2008. He replaced Marcel Ospel. In a statement, Mr. GrÃ¼bel, the new CEO said, "I will do all I can to bring UBS back on a profitable, successful track."